Dr. Klemenger completed her undergraduate studies at Adelphi University, and started her career in the world of finance as an executive at Money Magazine. She left her successful 13 year career in this field to follow her lifelong dream of becoming a veterinarian. She was accepted to Cornell University College of Veterinary Medicine, and graduated in 1995. Dr. Klemenger had worked as an associate veterinarian at a small animal hospital in Queens for 11 years before co-founding Companions Animal Hospital. Dr. Klemenger enjoys all aspects of small animal medicine and surgery, and has a special interest in geriatric medicine. She is the proud owner of a happy mixture of geriatric and younger canine and feline companions, all of them having special medical needs. Several of them were adopted as hospice patients, but pets that enter Dr. Klemenger’s home have a history of doing well and living longer than expected! On her free time, Dr. Klemenger enjoys gardening, cooking, and going to the beach. Dr. Marghoob completed her undergraduate studies at the University of Vermont and was then accepted to Cornell University College of Veterinary Medicine. She graduated in 1995 with honors and went on to complete a competitive internship in small animal medicine and surgery at the Oradell Animal Hospital, a large referral and emergency hospital in New Jersey. 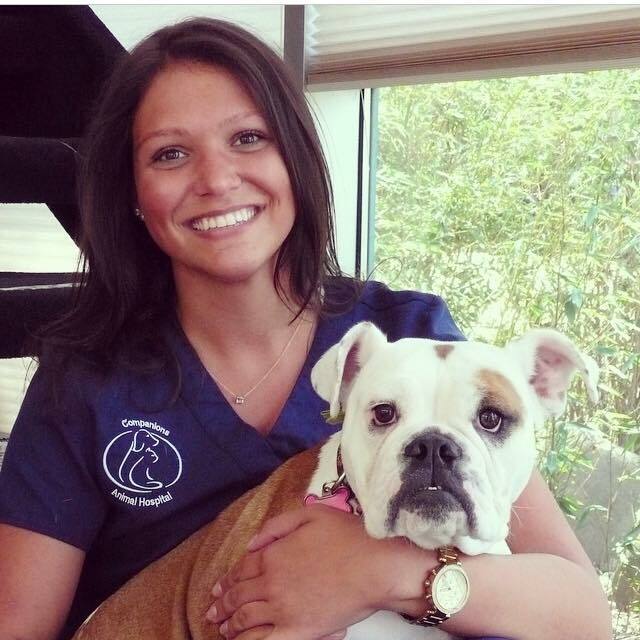 She stayed on at Oradell Animal Hospital as a staff doctor before moving to Long Island. She joined the staff at North Shore Animal League as a shelter veterinarian, and became supervisor of technician continuing education during her tenure there. Missing small animal practice, in 2000 she joined Dr. Klemenger as an associate at a small animal hospital in Queens. After years of dreaming and planning, Dr. Marghoob and Dr. Klemenger finally completed a true work from the heart, the creation of Companions Animal Hospital. Dr. Marghoob was an active board member and past president of the New York City Veterinary Medical Association. She was honored to be named 'Veterinarian of the Year' by the New York City Veterinary Medical Association in 2007.Dr. Marghoob's special interests include internal medicine, soft tissue surgery and dermatology. Her absolute passion is acupuncture and traditional Chinese Veterinary Medicine. Dr. Marghoob is a certified veterinary acupuncturist. The infinite and unrecognized (by Western Medicine) ways in which the living body can heal is what drives her passion in acupuncture and herbal medicine. Dr. Marghoob's photo companion is a 1 year old pit bull named Panda. The doctors and staff at Companions Animal Hospital do not believe in discriminating against dogs based on breed. As you can see, Panda is a happy-go-lucky girl who loves people, dogs, and love! 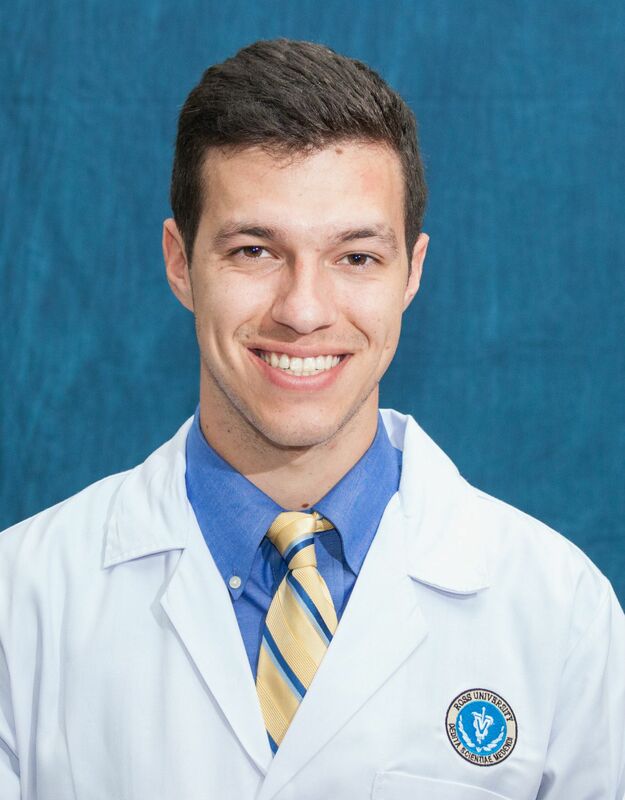 Dr. Barnable joined our team in June 2018. All of our loyal and long time friends know that the selection of a full time veterinarian to help us care for our patients was a decision that was made with much thought and care. Dr. Barnable attended Ross Veterinary School, and completed his clinical training at Purdue University School of Veterinary Medicine. While at Purdue, he earned the exclusive honor of Excellence in Outstanding Patient Care, Knowledge, Teamwork and Clinical Proficiency. Dr. Barnable shares his home with a handsome Mastiff as well as a sweet kitty he rescued from the streets. Dr. Lyons graduated from the Ross University College of Veterinary Medicine in 2006 after years of working as a veterinary technician, preparing herself for the rewarding call of veterinary studies. 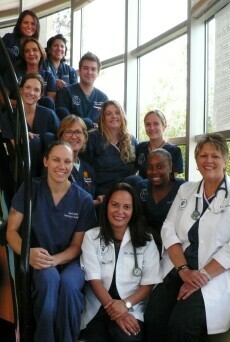 She finished her clinical training at Cornell. Dr. Lyons has spent much of her time as a veterinarian as an emergency and clinical care doctor, as well helping out at shelters. She also devotes much of her time to a feral trap-neuter-release cat program. Dr. Lyons has always loved animals and loves what she does. Dr. Lyons shares her home with a rescue cat from Saint Kitts named Tilt, a barn cat named Simone, and a rescued chocolate lab mix named Yogi. Aside from veterinary medicine, Dr. Lyons spends her time gardening, playing pool, bonding with her family, and working on home improvement projects. She hopes to one day travel the world. Irene has been with Companions Animal Hospital since before it opened in 2006. She was an instrumental part of the establishment and construction of the hospital, which started in 2005. Today, she is a critical part of the day-to-day business operations of the practice. Irene left a successful career as the head of training for individuals with disabilities at a large not-for-profit organization called Abilities. Her life-long dream was always to work with animals, and working at Companions has allowed her to do just that. In between her long hours working in front of the computer and on the phone, you can often find Irene visiting and comforting sick or recovering patients in the hospital. She has adopted 2 homeless pets since starting at Companions, Sammy a Schnauzer who was abandoned after being hit by a car, and Heather, a fox terrier who was left to languish in a cage at a pet store for 10 months before going to a shelter and then being fostered and then adopted by Irene. Crystal has been with Companions Animal Hospital since its opening in 2006. 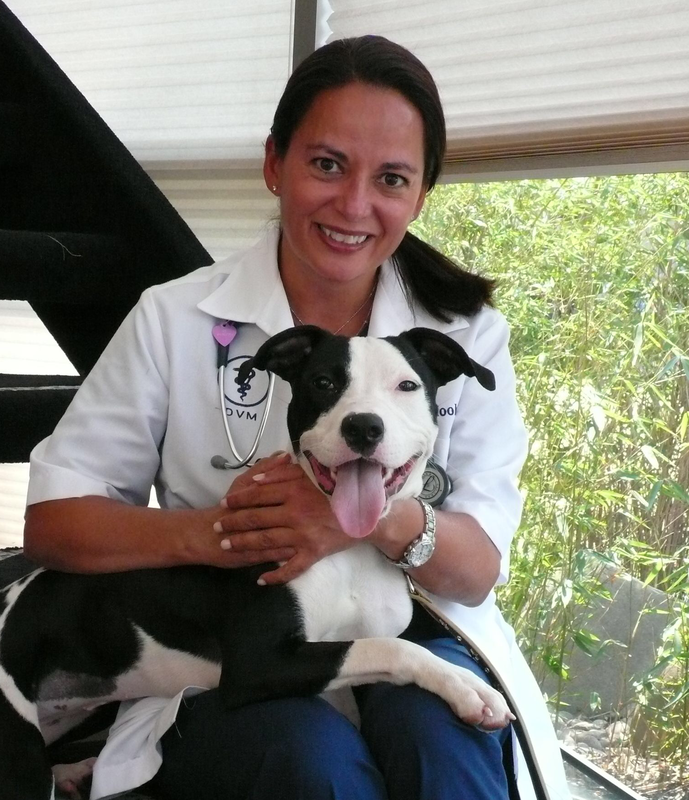 She attended LaGuardia Community College and graduated to become a licensed veterinary technician in 2000. Dr. Klemenger and Dr. Marghoob have worked with Crystal since she entered the veterinary field as an assistant back in 1998. Crystal is also a licensed human phlebotomist. Crystal is an extremely gifted veterinary nurse. She has a gentle way with her patients and truly loves the animals. She has nursed countless orphaned puppies, kittens, and bunnies in her own home with great success. Crystal is currently working on her veterinary technician specialty in dentistry and small animal clinical practice. This is an extra and voluntary step that only a small percentage of technicians pursue. Crystal's knowledge of and interest in veterinary dentistry provide the doctors at Companions with a breadth of insight and assistance before, during, and after periodontal procedures here at the practice. Crystal shares her home with her daughter Madison,her son Hudson, her mixed breed dogs Jazzmin and Annie, and her cats Autumn, Basil, and Batman. Crystal's photo companion is Clover, Dr. Klemenger's rescued beagle/hound mix who she helped recover from heartworm disease. Carey joined the staff of Companions in 2007 as a veterinary assistant, and has been a crucial member of the team ever since. She recently became our newest LVT through Suffolk Community College and is excited to continue working in new ways as a Licensed technician.She has been a big help to new assistants as they begin at the hospital, and is always willing to go the extra mile when it comes to our clients and their needs. When Carey isn't involved in creative DIY projects, she can be found horseback riding and fostering litters of kittens. She shares her home with her two loving dogs Lucy Bones and Miley, as well as many cats she has rescued and adores! Carey shares her home with her canine companion Lucy Bones, and her cats Lily, Riley and Butters. Jessie joined the staff of Companions Animal Hospital in 2006. She had taken a semester off from her rigorous college studies to re-focus and find out if the veterinary field was for her. Needless to say, she changed her major from engineering to biological sciences. Jessie is now a proud graduate of Dartmouth College, and joined us full-time after her graduation in 2008. Jessie is in the process of attending LSU School of Veterinary Medicine to become a Veterinarian. She is a gifted and compassionate veterinary student, assistant and nurse, and has a special place in her heart for the often misunderstood pit bull. She has also nursed and fostered countless puppies and kittens in her home. She currently shares her home with one pit bull, Ripper, and 7 rescued cats, Mowgli, Ziggy, Zita, Marbles, Gromit, Tigger and Phantom. After retirement, she decided she wanted to work with animals. She has a very caring way about her, and is very good at easing the worried pet owner, whether it is on the phone or in the waiting room. Her medical knowledge is also very helpful. Andrea now runs our facebook page and website. She also assists our Doctors and Irene with other administrative duties. In her free time Andrea loves to travel with her husband when she isn't helping out with her grandchildren. Valerie joined our family in the fall of 2013 and has proved to be one of our most valuable team members. She was originally introduced to Companions by her daughter, Gillian, a former CAH receptionist (who now has her doctorate and is practicing physical therapy in Boston). After a former career as a full-time 'Mary Poppins,' Valerie had moved to retail for 23 years - and is now very excited about her venture into the animal field. She thoroughly enjoys meeting and getting to know all the pets in the Companions Animal Hospital family. Valerie shares her home with her husband, Donald. In her free time she enjoys traveling and tandem biking, and is an outstanding cook. Valerie's photo companion is Elsie, Dr. Marghoob's rescued cavalier king charles spaniel. When Dr. Marghoob originally rescued Elsie, she had been plagued with crippling socialization issues that the staff at Companions helped her work through and overcome. Clover was rescued by Dr. Klemenger about 4 years ago and is grateful for it every day. Clover had been diagnosed with heartworm disease, a deadly parasite that infects the heart of an animal host, spread through the bite of an infected mosquito. Heartworm disease is very severe and typical results in serious disease or even death. Luckily for Clover, Dr. Klemenger was able to treat her for her many symptoms (including paralysis) and rehabilitate her with her own special care. Unfortunately Clover still has problems with incontinence and must wear a diaper, which serves as an inadvertent reminder of the dangers of the disease. We at Companions recommend using some form of heartworm protection year round, as there's never a time without any risk of infection. If you've ever toured the hospital or even if you're just visited us at the right time, you've probably seen Clover sniffing around, trying to find some treats, or baying at another beagle or hound. Despite her troubled past she's always in high spirits and loves meeting new people and animals. Next time you're in, ask to meet her!